Cairo, 19 Sept. 2018: – Former Nigerian President Olusegun Obasanjo and leading development economist Prof. Jeffrey Sachs will headline the second Babacar Ndiaye Lecture, to be held in Bali, Indonesia, on 13 October 2018, the African Export-Import Bank (Afreximbank) has announced. They will speak on the theme “Global Power Disequilibrium, Trade Wars and Implications for Africa” during the international lecture series instituted by Afreximbank to honour Dr. Babacar Ndiaye, the former President of the African Development Bank who died on 13 July 2017. Former CNN Anchor Isha Sesay will serve as moderator and master of ceremony of the lecture scheduled to take place on the sidelines of the World Bank-IMF Annual Meetings. The Babacar Ndiaye Lecture series seeks to honour Dr. Ndiaye, who was President of the African development Bank from 1985 to 1995, for his many contributions to Africa’s economic development, in particular, his critical role in the creation of Afreximbank. He was also instrumental to the creation of several other continental institutions, such as Shelter Afrique and the African Business Roundtable, and is credited with fostering the emergence of many young entrepreneurs who have become builders of Africa. 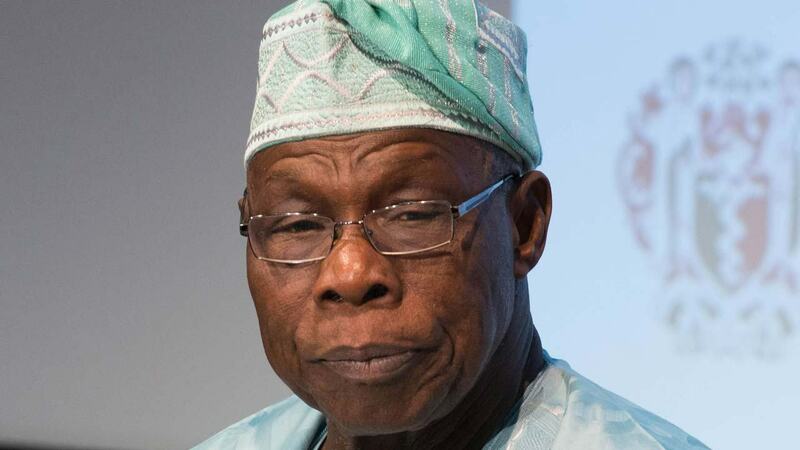 Chief Obasanjo served two terms as President of Nigeria from 1999 to 2007 after an earlier stint as the country’s military ruler from February 1976 to October 1979. He was the first military ruler in Africa to voluntarily return power to a democratically-elected government. Since leaving office, Chief Obasanjo has used his influence to advocate for Africa’s development, making appearances at various international fora where he has made the case for a stronger African voice in global economic decision making. Prof. Sachs, an American economist and public policy analyst, is Director of the Earth Institute at Columbia University, where he holds the title of University Professor, the highest rank Columbia bestows on its faculty. He is also, among other things, Special Advisor to United Nations Secretary-General; Co-Founder and Director of the Millennium Promise; Director of the UN Sustainable Development Solutions Network; Economic Advisor to governments in Latin America, Eastern Europe, Africa and Asia; Research Associate as the National Bureau of Economic Research, Cambridge, United States; Member, Brookings Panel of Economists, Brookings Institution, Washington, DC; and Co-Chair, Asian Economic Panel of Economists. Guests at the 2018 lecture will include leaders of African and global banks, development finance institutions, the business community and political leaders attending the World Bank–IMF Annual Meetings. Others are members of the diplomatic community, policy makers, academicians, African and non-African ministers of finance, economy and development, central bank governors, and CEOs of global and African corporates. Nobel Laureate Joseph Stiglitz delivered the inaugural Babacar Ndiaye Lecture in Washington D.C. on 15 October 2017.